A Senior Police Officer came to me for consultation this evening. “I drink green tea with honey and lemon in it and I feel like I’m losing weight!” he said. My question to him was, “Have you measured your weight before and after starting your green tea?”, ‘No’ was the quick response, with a perplexed look. It took me exactly 45 minutes to clear his mind from the misconceptions he was having. Below are some of his questions and my responses. And all of us, at some point in time, have these questions in our mind, I could vouch for it! 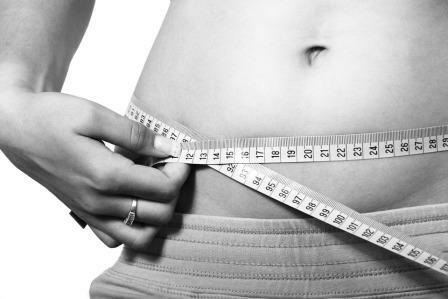 Honey, lime and warm water early in the morning is the best way to lose weight? Honey has calories that are equal to sugar, so they need to be adjusted with your daily calories. Honey has an inherent property of decreasing the intestinal motility, hence giving a feeling of fullness and decreasing the hunger for some time. But after its effects are over, people feel more hungry. Honey, lime, and water are not an alternative to a change in your lifestyle for the better. A lot of these products are not scientifically tested and can cause serious health problems. Before you start on any of them, let your family doctor know about it. The market is abuzz with health & wellness brands right from ayurvedic mixes to high-end internationally acclaimed names, offering lifestyle alternatives to your weight loss journey. Their meal replacement shakes are made with highly processed ingredients, such as protein isolates, sugars, gums, fibers, synthetic vitamins, artificial flavours, and emulsifiers. One of the biggest drawbacks is that the shakes are very high in sugar — 40 per cent of the calories in each serving come from added sugars, primarily fructose. Although such shakes are described as meal replacement shakes, they do not contain enough calories to constitute a true meal which will likely leave you feeling very hungry throughout the day. Blending the shake with fruit can help increase the calorie and fiber contents but won’t add any additional protein or fat to keep you satisfied hence they give you protein supplements. These and several other supplements that contain a myriad of ingredients have not been tested for effectiveness and are not regulated by any government agency for quality or purity. It’s important to watch for signs of adverse reactions to supplements, as these can occur. In fact, there have been several reports of liver damage due to weight loss supplements, sometimes requiring liver transplants or even causing death. The journey to weight loss is not about eating less, it is about eating right. The goal should not only to lose pounds and calories, but it is also to help you gain better appetite control, experience a calmness, high energy levels, and alertness from what you eat. The slight decrease in the calories is part of treatment, but very low-calorie diets, in the long run, are harmful. If someone wants to go on it, fine but check if you have a hospital near your residence and office. It is outright dangerous to keep going on Keto for long. The benefits of Keto are short lived. Humans can’t sustain on Low Carb diet for a longer period of time. Continuing on Keto diet for a longer period of time is like inviting complications. No. It's hard to continue it. You will ruin your personal, family and social life. Practically it is impossible to consume all the essential macro and micronutrients in just 2 meals. Also, our physiology says that our gastric emptying time is 2-3 hours which means you require to eat after every 2-3 hours. In that time span if you eat healthy, low-calorie food you will lose weight and never gain weight again. Your metabolism is really slow at night so foods fatten you more at night. This folklore probably comes from the fact that a lot of people have heavy dinners. But one has to understand that the packet of chips which you eat at 3 pm will do the same amount of damage at 9 pm if you insist on remaining sedentary or then generally lying around after polishing it off. The calories of the foods are the same, no matter what time of the day or night and it is the calories that matter. Wrong! At times it is an indication of another problem in your body. Weight gain can be a side effect of medication or physical illness or hormonal problems. If you try to cure obesity with trial-and-error methods, you are wasting valuable time. You need to know from an expert why you weigh what you do. Potatoes are a source of healthy carbs. They, by themselves, are not the cause of all your weight woes. Aloo Vada, French fries. Chips, and Spicy aloo bhaji on your plate often, especially when it is floating in a lot of golden oil, then potatoes will fatten you. Since foods low in sodium and rich in potassium and magnesium can help manage normal blood pressure, including a banana into an overall healthy diet can reduce the risk of high blood pressure. But don't go beyond one banana a day. Your parents did pass along some genes to you and so if you are of a big or a small frame it could have been decided by genetics. Whether you pack in more fat on the upper half of the body than lower could also be influenced by genetics but it's not your parents who have put that cheeseburger in your mouth in place of a lean sandwich on a busy afternoon. They are not responsible for the butter chicken which you had for dinner last night; neither are they responsible for the nth bottle of cola that you have emptied on a hot day. Walk, Gym, Zumba or what else? The unremitting barrage of advertising of different gadgets of obesity treatment especially over television and print media includes mainly Gymnasiums and different exercise machines which have set the stage for mass anxiety neurosis and pseudo beliefs and misconceptions. Scientifically, an obese person is not advised to walk on treadmill or walker, or for that matter do any exercise in Gymnasiums. After every 14 kilograms of excess weight (than your normal weight), the heart works double the times. In that scenario, any exercise ( barring walk ) will increase the activates of the heart, 3 or 4 times depending upon your level of activity. Hence, the chances of landing into heart problems are increased much fold. Again, after every 15 kilograms of excess weight (than your normal weight), the chances of Knee problem doubles. So the osteoarthritis of the knee is a dreaded complication, awaiting you with passing years. Whatever exercises, in gymnasiums or outdoors, started new for weight loss, is inviting complications. Many people believe that caffeine is a natural stimulant and if your body is stimulated it will burn more calories. Unfortunately, it doesn't work like that. Cleaning up your system every few months can make you feel better but if you exhaust your body with laxatives almost every day bowels might lose their natural microflora. Not a good idea. There will be fluid loss. You'll end up hurting the kidneys and skin but you won't get rid of the kilos. In any case, your body will manage to get the necessary quantity of fluid back. Surgeries like C-section and major operations make you overweight. No, the surgeries don’t make you overweight. The high-calorie food, considered a necessity during convalescence, along with all that rest, is what makes you put on weight. A healthy diet, just right for you, will not add unnecessary pounds to your body. You have eaten all kinds of things in the months preceding your delivery because they were supposed to be good for your health. Now you don't have time for anything other than the infant which demands your attention every waking moment. Going to the gym is impractical. Does it mean that you forget that at one time you too were in good shape? Not necessarily. However, you will lose not spare kilos but your health if you begin on some crash diets that you have picked up from magazines or the Internet. These are the times when only a weight management consultant can guide you right. There is no single treatment for weight loss and weight maintenance. Balanced meal plan, physical activities, behavioural modification, patience and perseverance, family and social support are the important key factors for a long term weight loss and maintenance. As there are multiple reasons why a person will be suffering from diabetes and heart disease or for that matter any disease, similarly factors involved in its treatment are multiple. Similarly, causes of obesity are multiple, and so it’s treatment has many factors involved. No single drug or method can prevent or treat obesity. Someone claiming so is benefiting himself, at the cost of your health and money. Beware!!! This article has been contributed by Dr. Kiran Rukadikar, Bariatric Physician and Obesity Consultant. He has founded Liven Healthcare with a vision to change the way people perceive and understand weight-loss.